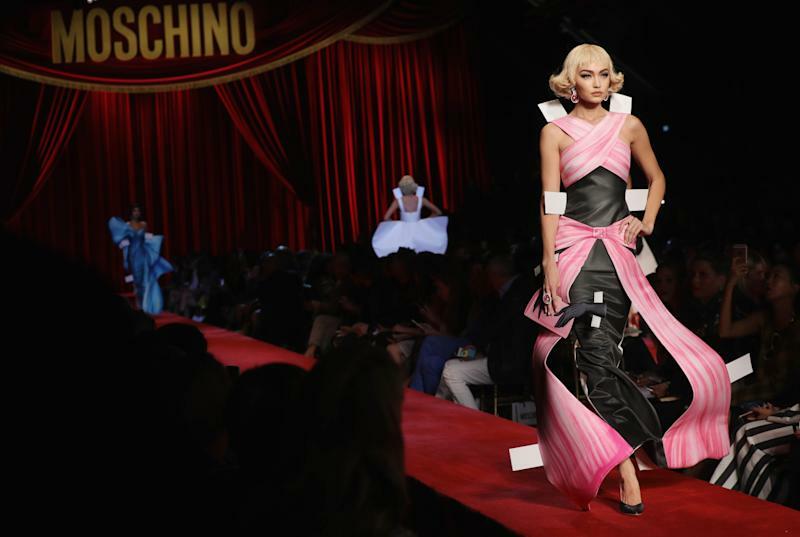 Jeremy Scott’s kitsch Moschino collections are not for the faint-hearted. After garnering daring celebrity fans including Katy Perry, the designer chose to one-up himself by riffing on paper dolls for SS17. Setting the Milan catwalk on fire, here’s everything you need to know about Moschino’s latest show. The Invite: Scott is known for his wacky invites that earn almost as many Instagram posts as the show itself. 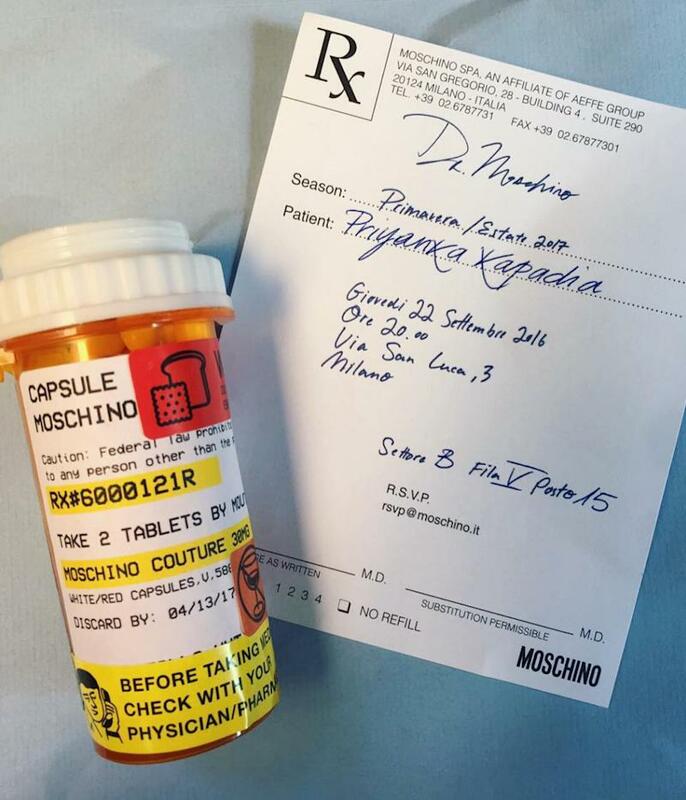 This season, he sent out a bottle of Moschino pills (that were actually full of Tic Tacs), tying in nicely with the ‘Capsule Collection’ title. The Collection: Literally transforming models into living dolls, Scott adorned paper-like swimsuits and gowns with nostalgic dressing tabs that reminded many of their childhoods. Skin-tight bodysuits bearing the golden Moschino name were paired with matchings bags and thigh high boots. 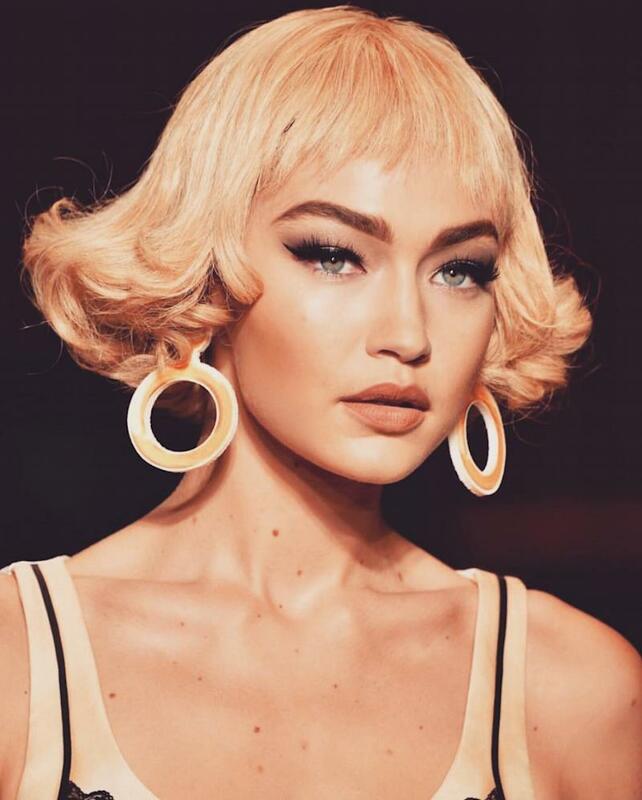 The Models: The world’s top models turned up in Milan with both Gigi and Bella Hadid walking the show along with catwalk veterans Irina Shayk and Lindsey Wixson. Each one was given a blunt new do with a retro feel. 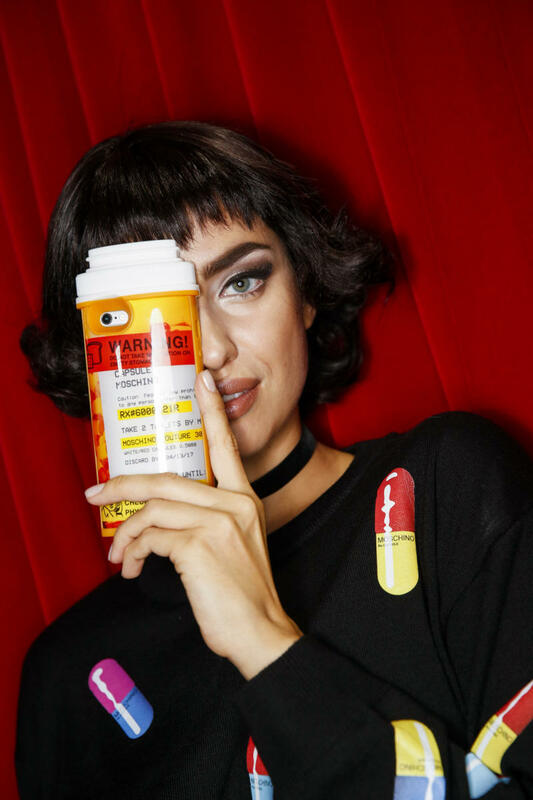 The Sell-Out: Although no one’s sure how the medication reference ties in with the doll-like collection, Scott’s latest line of tablet tees and phone cases are sure to sell out the moment they appear online (which is now, in case you’re wondering). The Red Carpet Fave: Any celebrity brave enough to wear paper clothes on the red carpet is a hero. And we’re sure that someone out there will show the world the elegant details of this pink-and-black gown. Got any thoughts on Moschino SS17? Tweet us at @YahooStyleUK and keep it here for all our Fashion Week coverage.